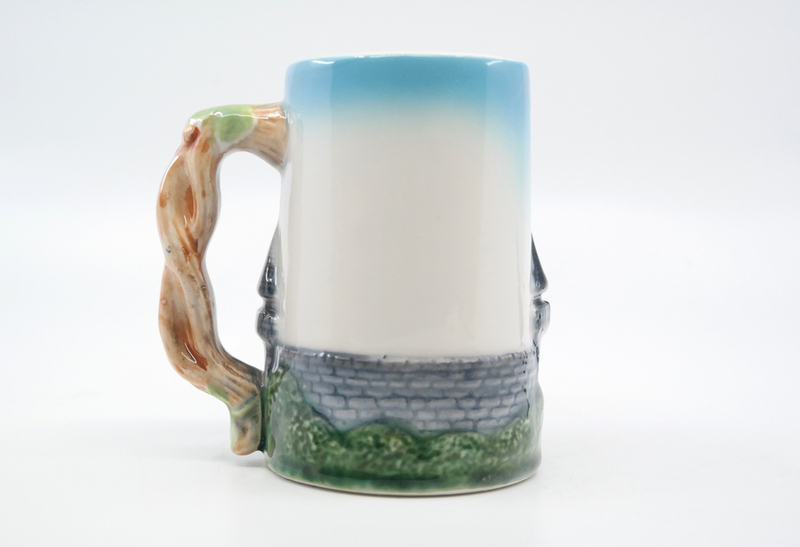 This is a charming early hand-painted ceramic souvenir drinking stein featuring an image of “Sleeping Beauty’s Castle”, the entrance to Fantasyland. 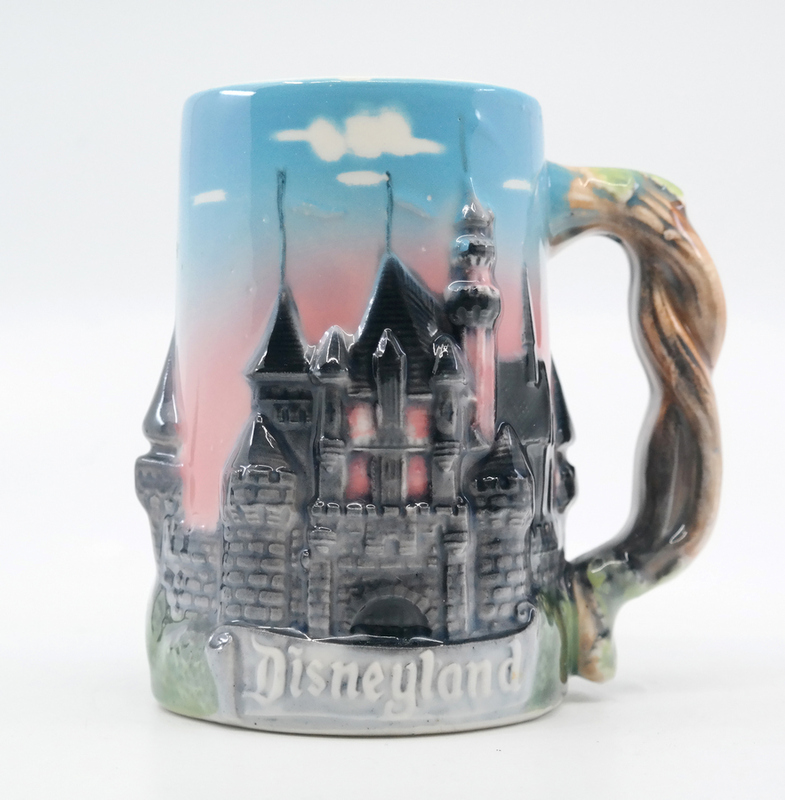 This stein was sold at the Disneyland theme park as a souvenir in the 1950s. The stein measures 5" x 3.5" x 5", with the Disneyland stamp on bottom. 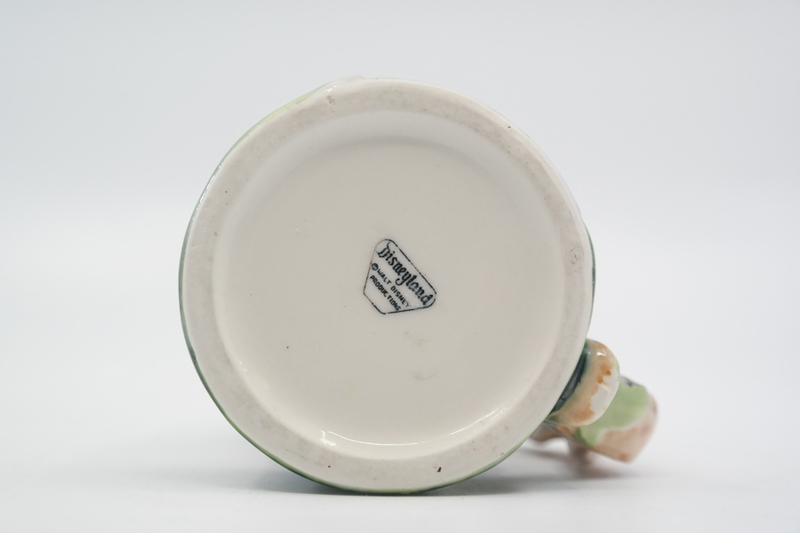 This stein is in excellent condition with minimal wear to the paint along edges and raised areas as would be expected. These pieces were painted by hand and have variations in the colors painted. 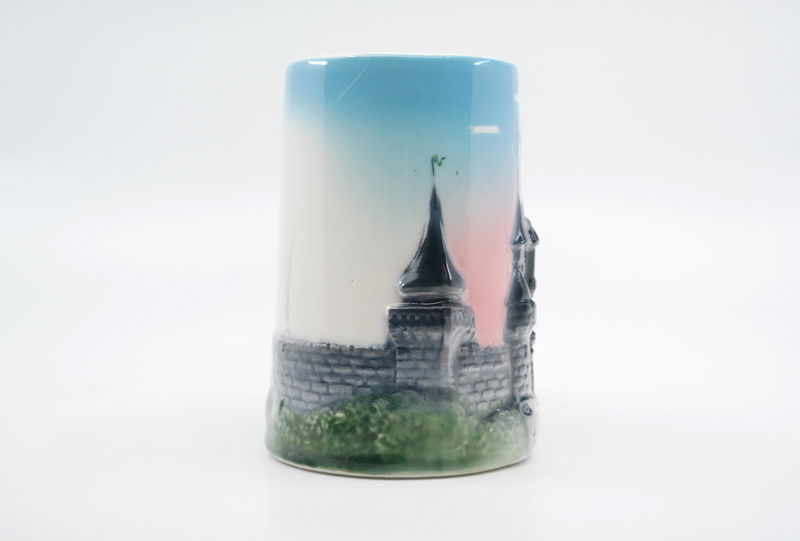 This particular stein does not have any of the castle's flags painted and overall is a darker image with more black visible in the piece.